It's been years since Blizzard put out a game on a console, but that doesn't mean it's turned its back on them. It's easy to think of Blizzard as a PC only developer, after all it created one of the biggest MMORPGs in the world, and has just released StarCraft 2, possibly the most eagerly anticipated PC game in recent history. But despite its current PC focus, Blizzard has also created console games in the past, and says it might do again, for the right game. 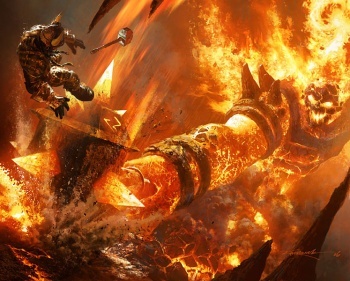 Michael Ryder, Blizzard's VP and executive MD of internal operations, said that console games were Blizzard's heritage, but that design decisions and the desire to give its players the best possible experience, had meant that Blizzard had leaned towards in PC development in recent years. But Ryder also said that Blizzard played all kinds of games, and was "up to speed" on all console platforms. He said that if Blizzard thought that a particular game design would work well on a console, then it might pursue that opportunity. The last foray that Blizzard made into console development was ill-fated StarCraft: Ghost, which was announced in 2002 and "indefinitely postponed" in 2006. There have been rumors that suggest that Blizzard is in talks to bring Diablo 3 to consoles, but these have yet to be confirmed.